Shenzhen Paide Digital Co., Ltd.
high quality cable for iphone 7 genuine usb cables wholesale 1.cable manufacturer. * Suitable for Apple iPhone iPad etc. * Used for data sync and charging usb cable. 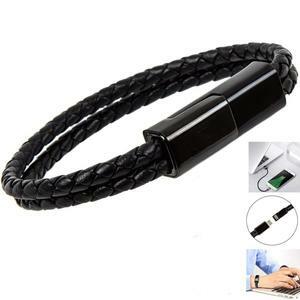 Shenzhen Qiwei Electronic Co., Ltd.
OEM Customized Magnetic Weaving Braided Leather Bracelet USB Sync Charger Cable For iPhone and Android This great creative leather bracelet cable is designed and developed by our factory Shenzhen Qiwe Electronic Co.,Ltd. 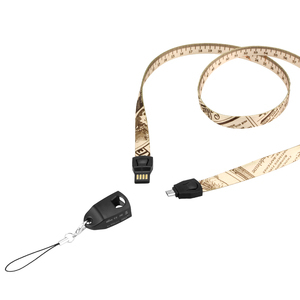 We are professional in researching and producing USB data cables, HDMI cables, travel chargers and car chargers for over 10 years We can design and make OEM/ODM products according to your ideas and samples. 1. Q: What's your main product9 A: The main product in our company is Usb cable,wall charger,car charger and power bank for smart phones. 2. Payment Term: By TT, 50% deposit, the balance paided before shipping. Q1. Are you real factory or trader9 We are factory with trading department. Q2. Can I ask for samples before placing an order9 Sure, sample order is accepted. Q: What kind of packing you can provide 9 A : Normaly we provide opp bag with single piece , we also accept customized packing. Q: What is your deliver time 9 A: Based on different quantity , large quantity is from 5 days to 20 days. Q: Are you factory or trading company 9 A: We are factory , and we are welcome customers to visit. We will make some drafts for your reference to confirm the position and size of your logo. Next we will produce 1-2 samples for you to check the actual effect. Q 4. What is the warranty of your products9 A4: We offer the warranty of 12 months for all products. 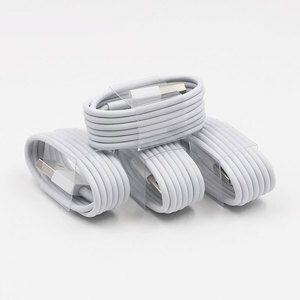 Custom transfer data multi-function usb charger cable 3 in 1 usb cable 1. Environmental silicone wire. [Standard 3.3FT] &ndash; 3.3ft length, you can feel free to charge or sync at any places. You just need to take one Charger Cable in case you have different phones when you travel outside. 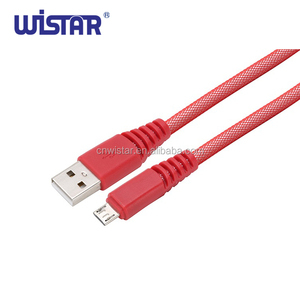 And in fact, we are one of the leading manufacturer of usb cables here, we welcome you take trip to China and meet our team in person to find out. Q: Are all product sample provided freely9 A: It depends, most of sample is free, but some of our patent product need to be negotiated. We have plenty stock for most models, but please confirm with our account managers in case you are in a hurry need of the product. Dongguan Wiiicloud Electronic Co., Ltd. The monthly production capacity up to 1 million pieces of all series products which can meet customer's specific requirements. Our products are widely recognized and trusted by users ,and can meet continuously developing economic and social needs. Reliable quality, fast delivery, considerable service and cost-performance are the main reasons for our success up to now. 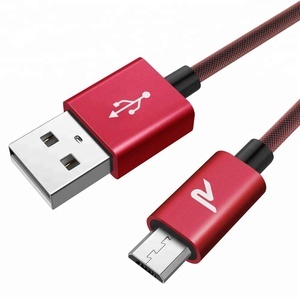 Alibaba.com offers 44,044 custom usb charger cables products. About 68% of these are data cables, 67% are mobile phone cables, and 53% are computer cables & connectors. 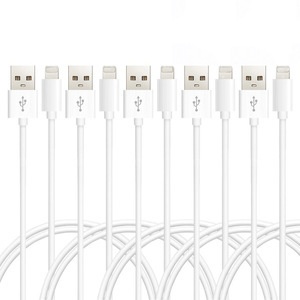 A wide variety of custom usb charger cables options are available to you, such as mobile phone, computer. You can also choose from male-male, male-female, and female-female. As well as from optical fiber, coaxial, and low voltage. 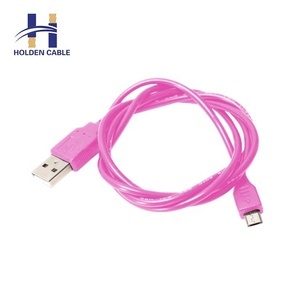 And whether custom usb charger cables is pink, gray, or gold. There are 44,044 custom usb charger cables suppliers, mainly located in Asia. 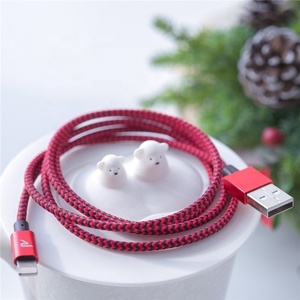 The top supplying countries are China (Mainland), Hong Kong, and Taiwan, which supply 99%, 1%, and 1% of custom usb charger cables respectively. Custom usb charger cables products are most popular in North America, Western Europe, and South America. You can ensure product safety by selecting from certified suppliers, including 12,607 with ISO9001, 4,981 with Other, and 2,843 with ISO14001 certification.